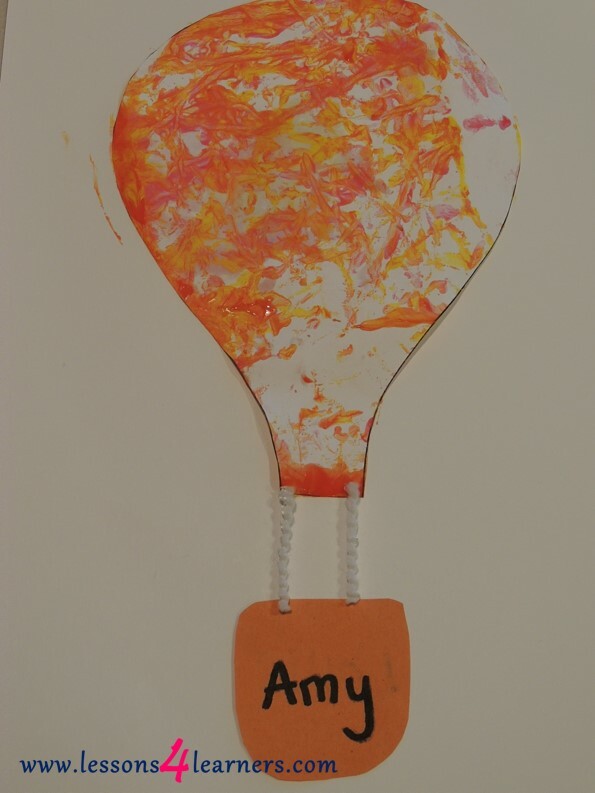 Cut a piece of paper into the shape of a hot air balloon using the template provided. Place the paper, desired paint colors, and marbles into the container. Close the lid and secure with duct tape to prevent the child from opening it. Introduce the container to the child and encourage them to shake it. After a few minutes, remove the paper from the container and allow it to dry. Glue the dried hot air balloon on a piece of paper. Cut string into 2 small pieces and glue on the paper (these will act as the ropes). Cut a small piece of paper and glue below the sting (this will act as the basket).